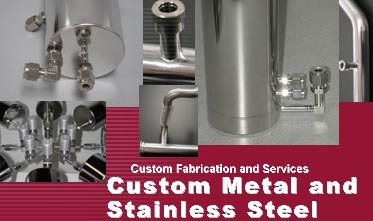 LabCommerce is the one place where you can get your total metal fabrication requirements delivered from a single supplier. Find a complete solution with LabCommerce. We will provide and manage all of the following processes and manage the production of your custom-fabricated products, assemblies and systems. Call us today for more information. If you already have an existing sketch or CAD drawing of your custom-fabrication needs, simply fax it to LabCommerce at (408) 265-6482 or email it to us at info@LabCommerce.com.